Search challenges in court require meeting the threshold hurdle of standing, meaning showing that the criminal defendant had a reasonable expectation of privacy under the Fourth Amendment to the United States Constitution. As a Fairfax criminal lawyer, repeatedly I pursue suppression of evidence from unlawful searches and seizures, addressing early on with my clients the strengths and weaknesses of their standing to challenge police searches. I get an adrenaline rush when finding grounds to suppress the evidence of an unlawful police seizure or arrest of my client or unlawful search. 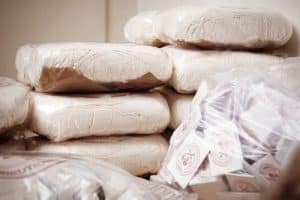 Sometimes that rush gets interrupted or reversed where my client likely did not have standing to challenge the search, for instance by being a mere non-possessory passenger of a car successfully searched for cocaine, or a non-overnight house visitor. The Supreme Court this week effectively declined to enable corporate contracts to automatically nix standing for search challenges. In Byrd v. United States, ___U.S. ___, Terrence Byrd was driving a rental car without being on the rental agreement. The police stopped his car for unknown reasons, he stated he had a marijuana blunt inside, and the police searched the car without his consent. The cops found forty-nine bricks of heroin in the car, which is a sizeable sales quantity. Byrd supports the argument that the reasonable expectation of privacy/standing doctrine needs common sense injected into it, and driving a rental car contrary to the rental contract but with the lawful renter’s permission, can be sufficient to provide standing for search challenges. Byrd’s remand to the lower court leaves remaining the issue of the presence or not of probable cause to search the car (probable cause was enhanced by Byrd’s admission that a marijuana blunt was in the car) and whether standing is lost when a rental car driver intentionally hides his or her identity in order to use the vehicle to commit a crime. Fairfax criminal lawyer Jonathan L. Katz takes apart each criminal defense case with a microscope to find the path to victory. Jon will be delighted to discuss your case with you, through a confidential consultation scheduled through our staff, at 703-383-1100.